Q. Please warn us about computer maintenance in advance! I'm very sorry to hear that you have lost work and have spoken to senior colleagues in IT Services. 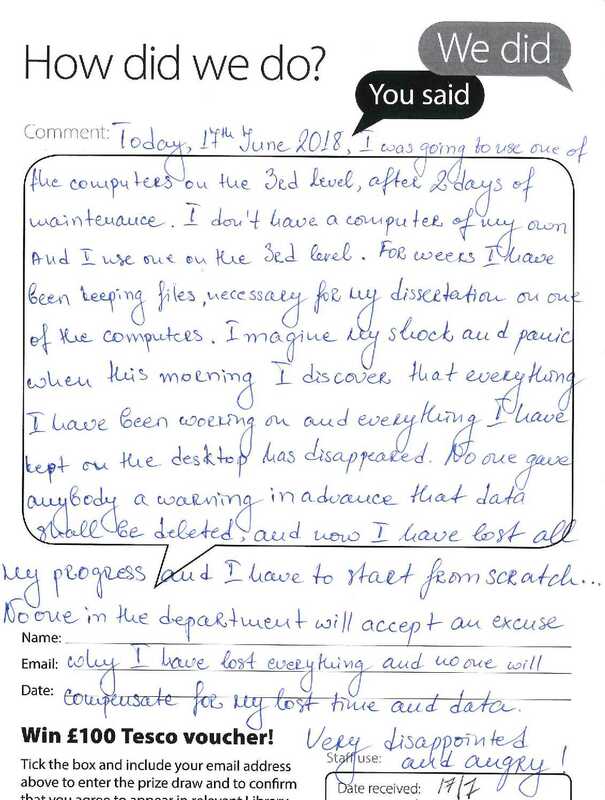 They explained that the guidance for all users of shared classroom PCs is that work should never be saved to a desktop - it will be lost when the log in session expires. This is highlighted in IT user guides and on the website. All work should be saved to your home drive where it is safely backed up. We will include a reminder about this in our new student guide for 2018-19. You did not provide contact details but please do get in touch if I can be of any assistance.